Every year the Denver Young Artists Orchestra hosts a fundraising event called the Painted Violin Event. Artists are selected, retired violins are sent out to them and we are all asked to paint the violins with a theme of our choosing, three-dimensionally, then the violins go on tour for several months at many of the Denver area art galleries with the hope of attracting buyers to fund talented young kids who love music. It is an exciting time, receiving a violin, knowing your mission is to give it an inspired treatment by anointing it with a theme that is both appealing and marketable; one that speaks to people and sends them a message. Please visit http://www.paintedviolin.com or http://www.DYAO.org to see all the new violins for the 2015-2016 symphony season and those from all past seasons as well. 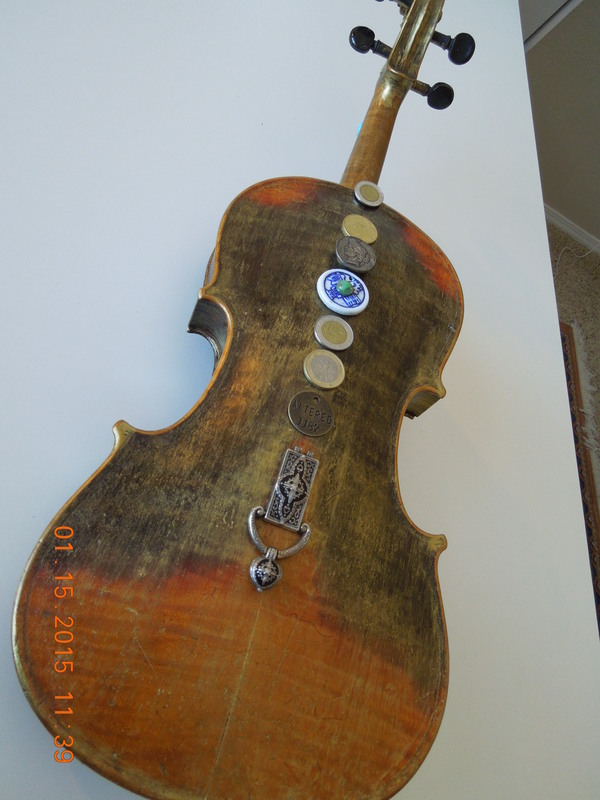 I have chosen to honor the authentic character of my particular old violin by embellishing her weathered patina with exotic stones and treasures including rare leopard jaspar from Madagascar (which is one of the oldest known gemstones containing healing powers), turquoise, African bone beads, Mexican silver, coins and other treasures from around the world. After all, she is a musical traveler, having provided the music of the world to audiences from all ethnicities and walks of life during her long career. The story of her origin and how she finally came into my hands is fascinating and involves the San Francisco Bay area and Yosemite Park to name just a few of the clues to her long life. Coincidentally or not, both of those locations are especially meaningful to my own family. Most of the items with which I have chosen to adorn her are from my own personal collection of magical found objects….saved through the years for some special purpose. 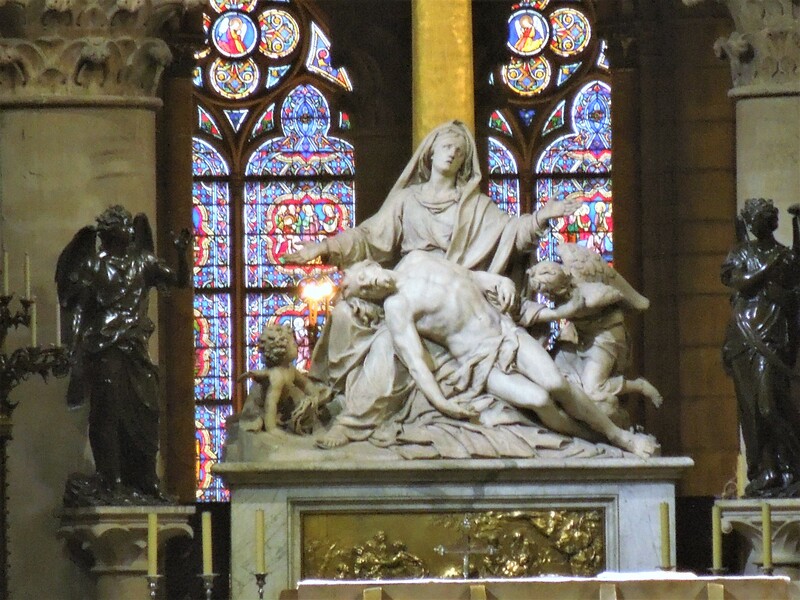 This is an extraordinary purpose. This violin, as did my first, carries a deeper meaning than people will see on the surface – it truly found me. That is another story, but a story worthy of telling. 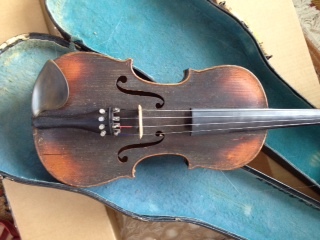 Please stay tuned for continuing information and revelations about this violin and the larger story of one contemporary woman’s artistic life in my new novel A Canary Flies the Canyon. 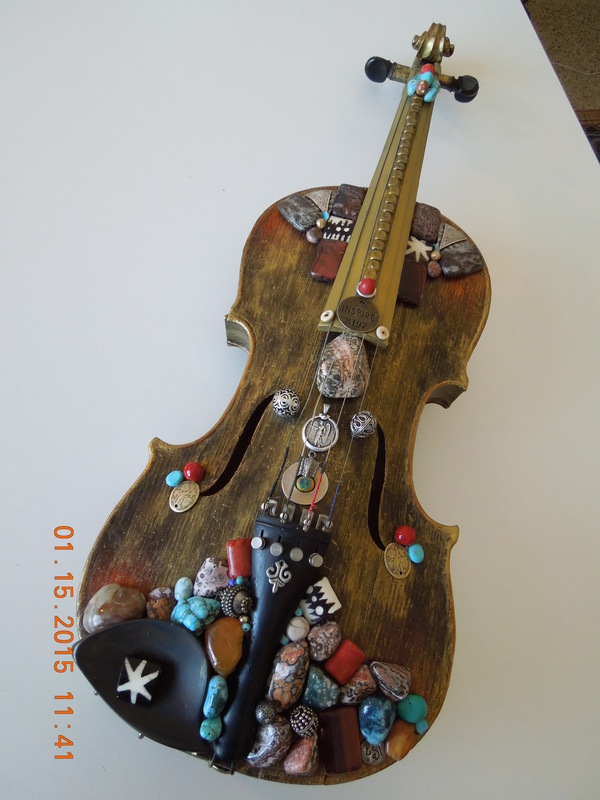 This entry was posted in art, creative choices and tagged Art, Art Students League of Denver, Denver Young Artists Orchestra, Painted Violin. Bookmark the permalink.